iOS 9 compatible! 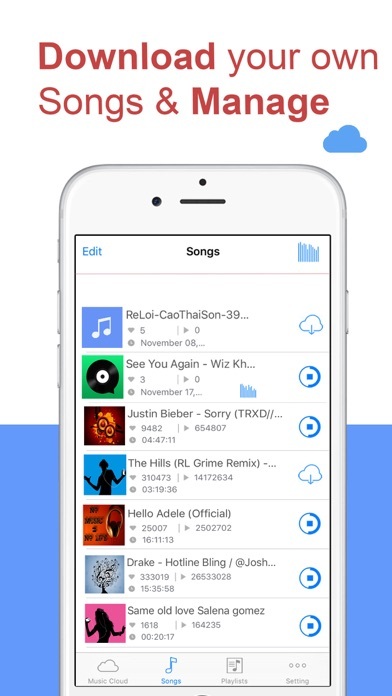 Easily download to your device and play offline your favorite music! Make your unlimited music library available on your device. Anytime. Anywhere. 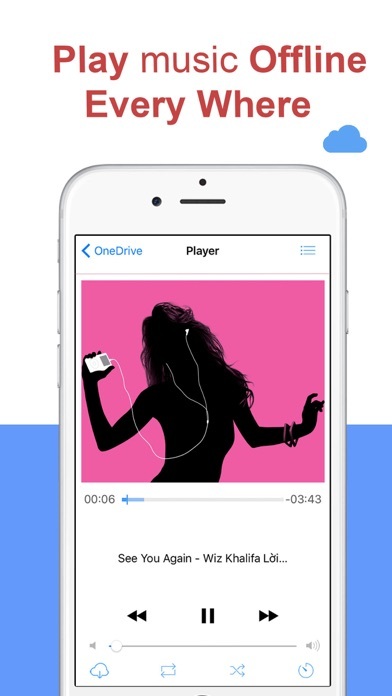 FEATURES - Listen offline – no internet or WiFi needed - Import any audio file format, e.g. 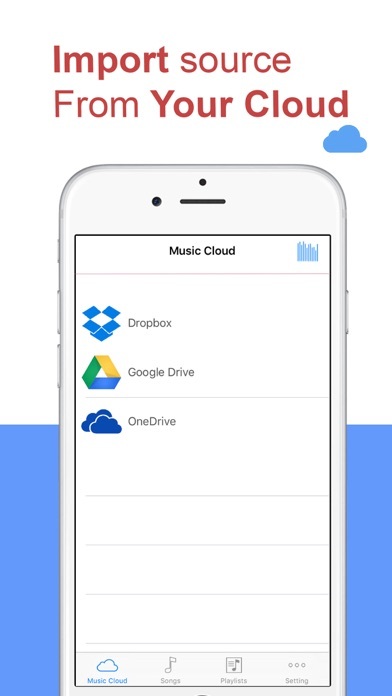 from email or other - Download any music to play offline - Create track lists with multi-cloud support - Lock screen and control center playback, headphones support - Create, rename, edit playlists - Supported formats: mp3, m4a, m4b and flac, more... - Unlimited free storage with Google Drive and DropBox and OneDrive - Imports your music from iTunes - iPhone 4s, 5, 5s 6, 6+, 6s, 6s Plus Support - iOS 9, 8 and 7 optimized NOTE: Due copyright restrictions this app cannot play drm protected files purchased on iTunes Store. - If you don't know how to use it. Please feedback to us via our support page. Your 5-star review will help make this app better. All I went to do was enter my Dropbox and download my music, then it just crashed. EXPLAIN!!!!!! You Did Have A Great Job!!! Don't download dis. I can't even fine 1 music.